All of the therapists at Kamloops Physiotherapy have had training in the use of Rehabilitative Ultrasound Imagining (RUSI) to assess how your core muscles are working. With RUSI we can check to make sure that you are doing your deep core exercises correctly, and we can use the ultrasound images to give you visual feedback to make sure that you are able to properly learn the exercises that we prescribe for you. Both our clinic sites have modern ultrasound imaging units to ensure we can guide you to optimal core muscle function. When these muscles are working properly they will turn on at appropriate levels to control movement of your spine and pelvis. After injury and pain the control of these deep muscles and how they work together with the outer core muscles can become non-optimal. The “outer core” refers to the outer abdominal muscles including the rectus abdominus (the 6-pack muscle) and the obliques plus the lower back muscles called the erector spinae. These are the muscles that are most commonly targeted in “core” classes and abdominal exercise programs. Performing general “core exercises” does not always automatically recruit the deep core muscles. After pain or injury, the body may have developed bad habits and imbalances in how it uses the deep and outer core muscles. 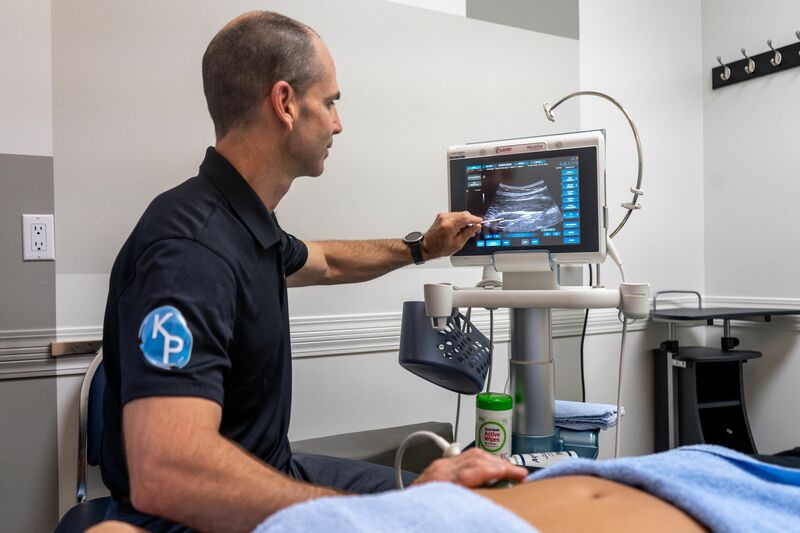 With our knowledge, skills and tools such as ultrasound imaging, the physiotherapists at Kamloops Physiotherapy and Sports Injury Centre can help you improve the function of your core muscles leading to better function with less pain.